This delicious dessert is an ideal way to end any meal, it is both rich and refreshing, but also incredibly quick and easy to make. 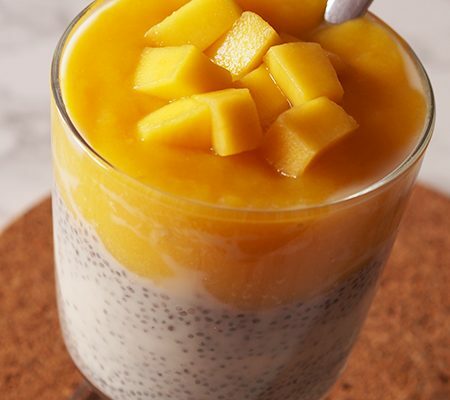 Combine chopped mangoes and 1/3 cup water in a blender; process until smooth. Press puree through a fine sieve over a bowl and discard the solids. 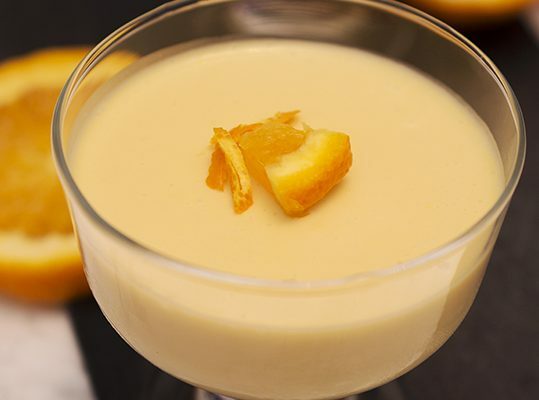 Whisk the fresh cream for a few minutes and stir it into the mango puree. Bring 3/4 cup water to a boil in a medium saucepan. Add sugar to pan, stirring until dissolved. Remove from heat. Add the gelatin into the mixture and gently whisk it with spatula until the gelatin dissolves. Switch off the flame. Add the mango puree to the gelatin mixture and keep stirring. Once the mixture has come to room temperature, pour it into dessert bowls and set in the refrigerator for 2 hours. 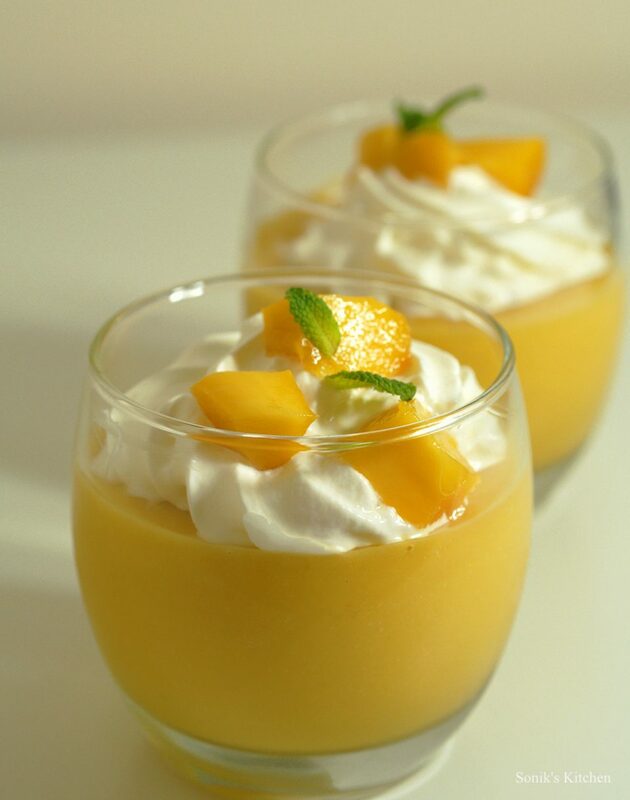 When the pudding is set, garnish it with whipped cream/ fresh mangoes and mint leaves. Mango Pudding is ready to be served.